I’m so excited to announce that my pocket tags will be in the Sew Somerset Winter 2017 issue. Follow link to order your copy today. 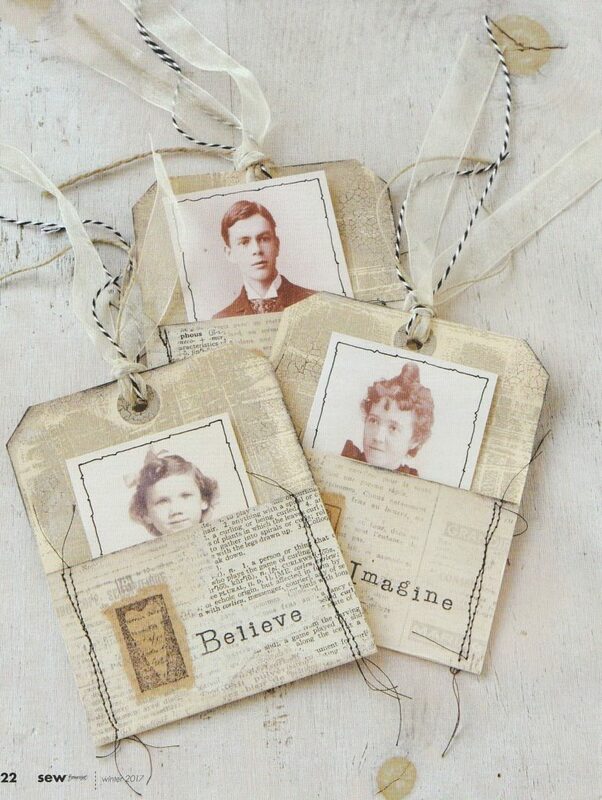 The featured article will share the inspiration for these pocket tags. It will also explain in detail how they were made using plain manila file folders and a few other materials such as old dictionary paper, string and simple rubber stamps. So get your copy today! 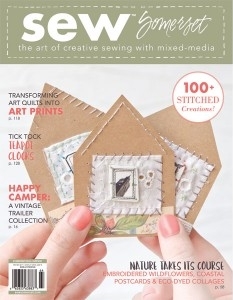 The entire issue is full of wonderful ideas for the art of creative sewing with mixed media. I’m honored to be published alongside Cover Artist Vesna Taneva-Miller, Colette Copeland, Tina Jensen, Karen Pleass and Mary Moorkens… just to name a few. I love how mixed media and sewing have become so intertwined.